Draw a picture combining different animals into one new animal. 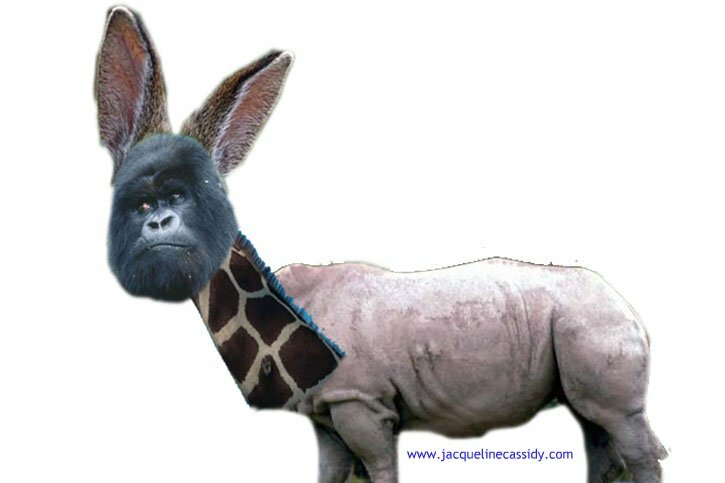 Maybe the body of a rhinoceros, the neck of a giraffe, the head of a gorilla, and the ears of a rabbit…the ideas are endless. Another option is to cut up pictures from magazines of various animals and put them together like the picture here. After you create your mixed up animal, design the habitat this new creature would live in. Give a name to this new breed of animal you created. Write a story about this new animal and his habitat. Have Fun! What does your mixed up animal look like? Email us your picture. We’d love to see it!